Iowa medical malpractice law is among the most complex legal practice areas. The statutes, case law, and regulations governing medical malpractice law in Iowa are highly technical. For instance, there are very strict and complicated filing deadlines that must be followed, or the injured patient’s case will not even be allowed to proceed, regardless of the actual substantive merits of the claim. Similarly, there are myriad other esoteric rules in place that make successfully prosecuting a medical malpractice claim in Iowa exceptionally difficult for anyone other than an experienced and knowledgeable medical malpractice lawyer. Unfortunately, this complexity has given rise to a great deal of confusion, misunderstanding, false assumptions, and inaccurate beliefs about medical malpractice claims in Iowa by both members of the general public as well as practicing lawyers. This widespread lack of understanding is not in anyone’s best interests, especially injured patients and their loved ones who are desperate for accurate information and answers. This article seeks to address the state of confusion by discussing both the broad fundamental principles and many of the key technical mechanics of Iowa medical malpractice law in practice. It is intended that this article do so in plain language with minimal use of legal jargon, so the material presented is easily accessible for both nonlawyers and legal practitioners alike. Section I below discusses the broad basic principles and concepts of medical malpractice law in Iowa. After reading this Sect ion, the reader will have an understanding of the basic issues for consideration in a medical malpractice case. Sections II through XI examine specific key technical aspects in initiating and prosecuting an action for medical malpractice in Iowa. Below is a list of topics covered in this article. You can jump directly to a topic by clicking on it. -What is Medical Malpractice in Iowa? 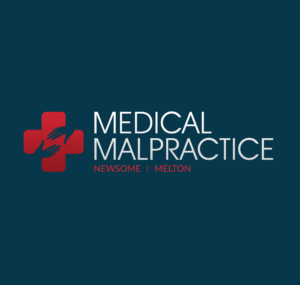 What is Medical Malpractice in Iowa? Medical malpractice is a specific type of professional negligence by a healthcare provider. In the medical malpractice context, negligence means that the healthcare provider’s actions deviated from or fell below the applicable accepted standards of medical practice. When that negligence results in the patient sustaining injury, becoming ill, or illness worsening, then medical malpractice may have occurred. It is important to understand that not all mistakes made (instances of negligence) by healthcare providers constitute compensable medical malpractice under Iowa law. Similarly, not all injuries following medical treatment amount to medical malpractice entitling the injured patient to compensation. Some degree of risk is inherent in most medical procedures. The law does not require healthcare providers to guarantee that no harm or unfavorable consequence will arise from treatment. The law simply requires that healthcare providers meet the legally required standard of care while rendering medical treatment. While negligence and subsequent injury are necessary factors for a legally valid medical malpractice claim, their mere presence alone is not sufficient for a compensable claim. Iowa medical malpractice law requires the injured patient to also prove causation between the negligence and the subsequent injury. The negligence must be the actual cause in fact of the patient’s injury. The law does not hold a healthcare provider who was negligent legally responsible for any and all injuries sustained by a patient simply because they happen to occur or manifest themselves after the negligent behavior. That is, the negligent act must have been the actual cause of the injury, not simply precede it in time, for a viable medical malpractice claim. Causation—the plaintiff must establish a causal relationship between the violation or breach of the standard of care and the alleged harm. Kennis v. Mercy Hospital Medical Center, 491 N.W.2d 161, 165 (Iowa 1992). Generally, the standard of care in Iowa requires that a physician must use “such reasonable care and skill as is exercised by the ordinary physician of good standing under like circumstance. And the locality in question is merely one circumstance, not an absolute limit upon the skill required.” McGulpin v. Bessmer, 1131 N.W.2d 121, 128 (Iowa 1950). The locality rule in its original form provided that a physician is bound to use that degree of knowledge, skill, care and attention ordinarily exercised by physicians under like circumstances and in like localities. It was formulated over 100 years ago to protect rural practitioners presumed to be less adequately informed than their colleagues in the city. In Iowa, the rule was also intended to equitably account for differences in physicians’ ability to develop skill in their profession due to the greater or lesser opportunities afforded by the locality, for observation and practice. Finally, the rule allowed the fact finder to take into account differences in physicians’ access to the latest technology. [internal citations and quotation marks omitted] Estate of Hagedorn, 690 N.W.2d 84, 89 (Iowa 2004). In Hagedorn, the Iowa Supreme Court declined the opportunity to repudiate the so-called Locality Rule. The Court observed that in the 1976 case Speed v. State, 240 N.W.2d 901 (Iowa 1976), it similarly declined to do so, stating: “Our adherence to this qualification of the locality rule was reaffirmed in Speed.” Id. at 89. In Hagedorn, the plaintiffs argued that the trial court’s instruction to the jury regarding the Locality Rule was an error because it is not the law in Iowa. The Supreme Court dismissed the plaintiffs’ argument, concluding “we reject the plaintiffs’ contention that the locality rule is not the law in Iowa.” Id. The Supreme Court announced in Speed and reaffirmed in Hagedorn that the Locality Rule does not place “a strict limitation on the skill and care required of a physician” under Iowa’s formulation of the applicable standard of care. Id. But as a general matter, the Supreme Court has not completely abandoned it. What the Court did do is “abandon the rule as a strict limitation on the skill and care required of a physician.” Id. Instead, the Court “held in McGulpin that the locality in which the physician practices was but one circumstance to be considered in determining whether he or she exercised reasonable care; this circumstance was not, however, ‘an absolute limit upon the skill required.’” Id. Furthermore, the Hagedorn Court instructed: “the facilities, personnel, services, and equipment reasonably available to a physician continue to be circumstances relevant to the appropriateness of the care rendered by the physician to the patient.” Id. It should be noted that the Locality Rule has been abandoned by the Iowa Supreme Court with respect to specific categories of defendants. The Rule was rejected for hospitals in Dickinson v. Mailliard, 175 N.W.2d 588, 596-597 (Iowa 1970). Similarly, it was rejected for specialists in Perin v. Hayne, 210 N.W.2d 609, 615 (Iowa 1973). The Iowa Supreme Court described the three methods of establishing that a specific healthcare practitioner was negligent—that is, breached the applicable standard of care. One is through expert testimony, the second through evidence showing the physician’s lack of care so obvious as to be within comprehension of a layman, and the third, (actually and extension of the second) through evidence that the physician injured a party of the body not involved in the treatment. The first means is the rule and the others are exceptions. Perin, 210 N.W.2d at 613. The general rule is that “[w]hen the ordinary care of a physician is an issue, generally only experts in the profession can testify and establish the standard of care and the skill required.” Welte v. Bello, 482 N.W.2d 437, 439 (Iowa 1992). For instance, if “the standard of care of a physician, surgeon, or dentist is at issue, Iowa law permits only testimony upon the appropriate standard of care by an expert who has qualifications related directly to the medical problem at issue and the type of treatment administered.” Id. If a surgeon … undertakes to stich a wound on the patient’s cheek and, by an awkward move, thrusts his needle into the patient’s eye … the charitable presumptions which ordinarily protect the practitioner against legal blame where his treatment is unsuccessful are not here available. It is a matter of common knowledge and observation that such things do not ordinarily attend the service of one possessing ordinary skill and experience in the delicate work of surgery. It does not need scientific knowledge or training to understand that, ordinarily speaking, such results are unnecessary and are not to be anticipated, if reasonable care be exercised by the operator. Id. In order to recover damages for a medical malpractice claim, it is not enough to simply prove that the defendant was negligent by breaching the applicable standard of care. Barnes v. Bovenmyer, 122 N.W.2d 312, 317 (Iowa 1963). The plaintiff must still prove a causal relationship between the defendant’s negligence and plaintiff’s injury. Id. Like with the issues of the applicable standard of care and breach thereof, causation is a question for the trier of fact. Speed, 240 N.W.2d at 904. In order to establish causation, expert medical witness testimony is generally required and must state with a sufficient degree of certainty that there is a causal connection between the defendant’s negligence and the plaintiff’s injury. Bradshaw v. Iowa Methodist Hospital, 101 N.W.2d 167 (Iowa 1960). Expert testimony that it was “possible a given injury was the cause of subsequent disability or ‘could have’ caused it is insufficient, standing alone” to establish causation. Id. at 172. Rather, the testimony “indicating probability or likelihood of such causal relation is necessary.” Id. Causation, “like the other elements, cannot be based upon mere speculation…. No consequential fact in a case can be resolved by pure guesswork.” Phillips v. Covenant Clinic, 625 N.W.2d 714, 718 (Iowa 2001). Filing deadlines are among the most important preliminary issues to consider with respect to any potential legal case. In particular, medical malpractice claims must be initiated by a specific deadline, or you may be completely barred from proceeding with your lawsuit, even if you have a valid claim that would otherwise entitle you to recover damages for your injuries. These strict filing deadlines are referred to as a statute of limitations. Each state establishes deadlines by which you must file various types of legal claims in order to preserve your right to have the substantive merits of your case heard. In addition to filing deadlines for initiating the lawsuit itself, a statute of limitations commonly prescribes other deadlines by which certain actions must be performed, or once again, you may be barred from proceeding with your lawsuit. A statute of limitations can often be tolled or extended. Tolling refers to delaying or pausing the running (or active countdown) of the applicable time period. For example, if a statute is tolled for 90 days, then the countdown towards the deadline is paused for that duration of time. The deadline to carry out a specified action under a statute of limitations can also be extended. For instance, many statutes of limitations add a specified number of years to the applicable deadline if the prospective defendant engaged in fraud or other intentional actions in an attempt to conceal his or her liability. In general, medical malpractice claims in Iowa are subject to a two-year statute of limitations that is contained in Iowa Code (“IC”) § 614.1(9)(a). The limitations period begins to run as of the date on which the plaintiff knew or should have known of the injury or death. The statute states that medical malpractice claims must be brought “within two years after the date on which the claimant knew, or through the use of reasonable diligence should have known, or received notice in writing of the existence of, the injury or death for which damages are sought in the action, whichever of the dates occurs first….” Id. Thus, the general rule requires that an injured party has two years from the date he or she knew or constructively knew of the injury that serves as the basis for the claim. In computing time, the first day shall be excluded and the last included, unless the last falls on Sunday, in which case the time prescribed shall be extended so as to include the whole of the following Monday. However, when by the provisions of a statute or rule prescribed under authority of a statute, the last day for the commencement of an action or proceedings, the filing of a pleading or motion in a pending action or proceedings, or the perfecting or filing of an appeal from the decision or award of a court, board, commission, or official falls on a Saturday, a Sunday, a day on which the office of the clerk of the district court is closed in whole or in part pursuant to the authority of the supreme court, the first day of January, the third Monday in January, the twelfth day of February, the third Monday in February, the last Monday in May, the fourth day of July, the first Monday in September, the eleventh day of November, the fourth Thursday in November, the twenty-fifth day of December, and the following Monday when any of the foregoing named legal holidays fall on a Sunday, and any day appointed or recommended by the office of the board, commission, or official is open to receive the filing of a commencement of an action, pleading or a motion in a pending action or proceeding, or the perfecting or filing of an appeal. Every state has some version of the Discovery Rule. In general, the Discovery Rule is an exception to the standard statute of limitations. It tolls the applicable statute of limitations until the injury stemming from the alleged medical negligence is or should have been discovered by the plaintiff. Injuries resulting from medical negligence often do not materialize until years after the negligent act, omission, or decision. The rationale underlying the Discovery Rule is to prevent the statute of limitations barring a plaintiff from pursuing a medical malpractice claim until the injury has been discovered or should have been discovered. Iowa recognizes the Discovery Rule for medical malpractice claims. In fact, it is integrated into the governing statute of limitations itself. IC § 614.1(9)(a) provides that the two-year limitations period begins to run when the claimant “knew, or through the use of reasonable diligence should have known” of the injury for which damages are sought. The principle embodied in the statute’s language is that of the Discovery Rule, i.e., knowledge of the injury as the triggering event for the starting of the limitations period. A critical question for purposes of determining precisely when the limitations period begins to run is what, for purposes of the statute, constitutes an “injury.” The Iowa Supreme Court concluded that “injury” in the context of the statute of limitations is the physical or mental harm sustained by the plaintiff. Langner v. Simpson, 533 N.W.2d 511, 517 (Iowa 1995). So knowledge of the physical or mental harm is a component of “injury” under the statute. However, that knowledge or discovery itself is not sufficient to trigger the running of the limitations period. In addition to the knowledge or discovery of the injury, the Supreme Court held that “the plaintiff must have known, or should have known through reasonable diligence, the medical care caused or may have caused the injury.” Rathje v. Mercy Hospital, 745 N.W.2d 442, 462-463 (Iowa 2008). It is a question of fact for the jury as to when a plaintiff knew or should have known of his or her injury and its factual cause. Murtha v. Cahalan, 745 N.W.2d 711, 718 (Iowa 2008). If we were to hold the statute of limitations begins to run at the start of an investigation into the existence of a possible injury, then the statute would always be triggered prior to the date the plaintiff gained actual knowledge of the injury unless the injury was immediately apparent. Such a holding would eliminate any reasonable application of the discovery rule in medical malpractice claims. Id. at 676. Minors are subject to a different limitations period than the standard two-year period that normally applies to medical malpractice claims. IC § 614.1(9)(b) governs medical malpractice actions involving minors. It provides that “a minor who was under the age of eight years when the act, omission, or occurrence alleged in the action occurred shall be commenced no later than the minor’s tenth birthday” or as provided for in the general rule, whichever is later. Otherwise, under IC § 614.8(2), minors “have one year from and after attainment of majority within which to file a” medical malpractice claim. Individuals who are deemed mentally ill are also subject to a different limitations period than the general two-year period that normally applies to medical malpractice claims. IC § 614.8(1) governs medical malpractice actions involving the mentally ill. It provides that they “have one year from and after the termination of the disability within which to file” a medical malpractice claim. The application of Iowa’s medical malpractice statute of limitations is extremely nuanced, technical, and fact-driven. The rules governing this area of the law can be overwhelmingly complex and confusing for anyone other than an experienced Iowa medical malpractice attorney. This is especially true when the statute of repose is also implicated (see next Section of this article). In order for potential plaintiffs to ensure the preservation of their right to prosecute their medical malpractice claim, it is advisable to contact an Iowa attorney who specializes in medical malpractice law at the earliest possible opportunity. Statutes of repose are procedurally related to statutes of limitations. Both types of statutes involve the countdown towards a deadline by which time a specified action must be performed. If the deadline is not met, they can both bar any further prosecution of a case without regard to the actual substantive merits of the claim. Although they can be thought of as being related, there are critical differences between them. The manner in which the running of each statute is triggered represents a subtle but very significant difference between the two types of statutes. A statute of limitations is generally triggered when the cause of action accrues, i.e., when all essential elements are present and a claim becomes legally actionable. In contrast, a statute of repose is triggered upon the occurrence of a specified event regardless of whether the cause of action has accrued. In medical malpractice cases, that event is usually, but not always, the medical procedure that is alleged to have caused the subsequent injury. The statute of repose begins to run as of the date of the procedure or other triggering event regardless of whether the cause of action has accrued. Whereas, the corresponding statute of limitations typically does not begin to run until the plaintiff knows about the injury or deemed to know and all other elements of a viable cause of action exist. Additionally, unlike a statute of limitations, a statute of repose can run and bar a right of action before it even exists. A statute of repose serves as an absolute bar to recovery. Once it runs, it extinguishes the claim entirely even if the claim is not yet time-barred by the applicable statute of limitations. The statute of repose controls in that scenario. While statutes of limitations are widely known and even understood by much of the general public, the same does not hold true with respect to statutes of repose. In fact, even many practicing lawyers do not fully appreciate the critical differences between the two. This is likely due to the fact that statutes of repose are relatively rare. Every cause of action in every state is governed by an applicable statute of limitations, but relatively few causes of action are also covered by a statute of repose. Notice that the triggering event is the alleged negligent act or omission. In contrast to the statute of limitations which begins to run when the plaintiff has knowledge or constructive knowledge of the injury and its factual cause, the statute of repose begins to run immediately upon the occurrence of the alleged negligence and can expire even before the potential plaintiff is aware that he or she may have been injured. The only exception to the statute of repose is a situation where a foreign object with no therapeutic value is inadvertently left inside a patient’s body following surgery. In that specific scenario, the six-year statute of repose will not operate to bar a claim filed more than six years after the surgery. Sovereign immunity is the legal doctrine that holds the government is immune from lawsuits or other legal actions except when and to the extent it consents to them. The doctrine traces its origins back to English common law where the king made the laws, so the king could do no wrong. As a result, there could be no valid claim against a government entity. The doctrine crossed the ocean and found its way to the United States in the early 1800s, and it was soon adopted in some form in nearly every state. Today, most states have either limited or eliminated, to some extent, sovereign immunity by judicial action or statute. The Iowa Tort Claims Act (ITCA) provides a limited waiver of the state’s sovereign immunity. See Iowa Code ch. 669; Hansen v. State, 298 N.W.2d 263, 265 (Iowa 1980) (“The state may now be sued in tort only in the manner and to the extent to which consent has been given by the legislature.”); see also Thomas v. Gavin, 838 N.W.2d 518, 521, 2013 WL 5583524 (Iowa 2013) (citing Don R. Bennett, Handling Tort Claims and Suits Against the State of Iowa: Part I, 17 Drake L.Rev. 189, 189 (1968) (“Prior to passage of the Iowa Tort Claims Act in 1965, the maxim that ‘the King can do no wrong’ prevailed in Iowa.”) (noting the ITCA is “viewed as abolishing traditional common law immunities”)). “Generally, the State may be sued for damage caused by the negligent or wrongful acts or omissions of state employees while acting within the scope of employment to the same extent that a private person may be sued.” McGill v. Fish, 790 N.W.2d 113, 117 (Iowa 2010) (citing Iowa Code § 669.2(3)(a) (2009)). A claim must be duly filed in accordance with the procedures set forth in the Act “within two years after the claim accrued,” or it is forever time-barred. IC § 669.13(1). The foregoing statute of limitations is “extended for a period of six months from the date of mailing the notice to the claimant by the attorney general as to the final disposition of the claim or from the date of withdrawal of the claim under section 669.5, if the time to begin suit would otherwise expire before the end of the period.” Id. The statute of limitations contained in IC § 669.13 is the only one applicable to claims brought under the Act. IC § 669.13(3). A claim is initiated under the Act “by serving the attorney general or the attorney general’s duty authorized delegate in charge of the tort claims division by service of an original notice. The state shall have thirty days within which to enter its general or special appearance.” IC § 669.4. For purposes of claims brought pursuant to the Act, the “state shall be liable in respect to such claims to the same claimants, in the same manner, and to the same extent as a private individual under like circumstances, except that the state shall not be liable for interest prior to judgment or for punitive damages.” IC § 669.4. “The immunity of the state from suit and liability is waived to the extent provided in” the Act. Id. Under IC § 669.3(1), the attorney general “shall consider, ascertain, adjust, compromise, settle, determine, and allow any claim that is subject” to the Act. A lawsuit may not be filed “unless the attorney general has made final disposition of the claim.” IC § 669.5(1). However, if the attorney general does not make a final disposition of the claim within six months after filing the claim, the plaintiff “may, by notice in writing, withdraw the claim from consideration and begin suit under” the Act. Id. The general rule in the United States holds that an individual is under no legal duty to provide assistance to someone in need during an emergency. While there may, for some, be a moral obligation to aid others in emergency situations, there is no corresponding legal duty to do so. It is a different story if an individual is responsible for creating the emergency situation from which a victim needs saving or an individual is under a pre-existing duty to save others from a specific situation (on-duty lifeguard has a duty to recuse swimmers under his or her watch). In response, states have enacted Good Samaritan laws. While they do not impose a legal duty to help others, they do eliminate a potential barrier for some in coming to the aid of others during an emergency. Good Samaritan laws are designed to provide immunity from civil liability for individuals who voluntarily render assistance to those in need during an emergency situation. As a public policy matter, society does not want concerns about potential civil liability stopping individuals from helping others in need of emergency assistance. A person, who in good faith renders emergency care or assistance without compensation, shall not be liable for any civil damages for acts or omissions occurring at the place of an emergency or accident or while the person is in transit to or from the emergency or accident or while the person is at or being moved to or from an emergency shelter….” Id. However, the immunity granted by Iowa’s Good Samaritan law does not apply if “such acts or omissions constitute recklessness or willful and wanton misconduct.” Id. Thus, Good Samaritans are shielded from civil liability for ordinary negligence, but not conduct that amounts to reckless or willful and wanton misconduct. Under Iowa’s Good Samaritan law, “a person rendering emergency care or assistance includes a person involved in a workplace rescue arising out of an emergency or accident.” IC § 613.17(1)(c). The statute expressly states that an “emergency includes but is not limited to a disaster as defined in section 29C.2 or the period of time immediately following a disaster for which the governor has issued a proclamation of a disaster emergency pursuant to section 29C.6.” IC § 613.17(1). There are numerous statutes providing some form of immunity or limitation on liability for various healthcare practitioners, emergency personnel, healthcare related entities, and specific scenarios scattered throughout the 2017 Iowa Code. Many of the statutes medical malpractice plaintiffs are most likely to encounter are contained in Title 4 of the 2017 Iowa Code. In any action for personal injury or wrongful death against a health care provider based upon the alleged negligence in the practice of that profession or occupation or in patient care, which include a cause of action for which expert testimony is necessary to establish a prima facie case, the plaintiff shall, prior to the commencement of discovery in the case and within sixty days of the defendant’s answer, serve upon the defendant a certificate of merit affidavit signed by an expert witness with respect to the issue of standard of care and an alleged breach of the standard of care. The expert witness must meet the qualifying standards of section 147.139. IC § 147.140(6) states that “[f]ailure to substantially comply with subsection 1 shall result, upon motion, in dismissal with prejudice of each cause of action as to which expert witness testimony is necessary to establish a prima facie case.” If the experience of other states with similar language regarding “failure to substantially comply” in their Certificate of Merit statute is any guide, that phrase will likely give rise to a lot of litigation in the near future in Iowa. As of the date of this article, there are no reported appellate decisions pertaining to the new Certificate of Merit. A separate Certificate of Merit must be served on each defendant named in the petition. IC § 147.140(1)(c). Upon agreement of the parties or “the court for good cause shown and in response to a motion filed prior to the expiration of the time” period for submission of a Certificate “may provide for extensions of the time limits.” IC § 147.140(4). To summarize, a Certificate must be filed in all medical malpractice cases prior to discovery and within 60 days of the defendant’s answer to plaintiff’s petition. A qualified expert must certify that the applicable standard of care was breached and describe how it was breached. In the event the plaintiff is unable locate a qualified expert willing to certify to the foregoing or otherwise fails to submit a Certificate as required by the new statute, the claim will be dismissed with prejudice, i.e., cannot be refiled. Since this is a brand new provision added to Iowa’s medical malpractice law, there are many open questions, so a considerable amount of litigation can be expected in the coming years. The effective date of the new requirement is July 1, 2017, so all claims based on a cause of action that accrued on or after that date are subject to the Certificate of Merit requirement. All civil actions are commenced by filing a petition with the appropriate court. Rule 1.301(1) of the Iowa Rules of Civil Procedure. Further, the “date of filing shall determine whether an action has been commenced within the time allowed by statutes for limitation of actions….” Id. A cover sheet in the form mandated by the clerk of the court must be completed and accompany every civil petition. Rule 1.301(2). It should be noted that this “requirement is solely for administrative purposes, and matters appearing on the civil cover sheet have no legal effect in the action. Id. The petition is one of the recognized forms of pleading under Iowa law. Rule 1.401. According to Rule 1.402(1), the “form and sufficiency of all pleadings shall be determined by” the Iowa Rules of Civil Procedure, and they shall be “construed and enforced to secure a just, speedy and inexpensive determination of all controversies on their merits.” Id. Each allegation contained in the initial petition “shall be simple, concise, and direct. No technical forms of pleadings are required.” Rule 1.402(2)(a). The plaintiff “may set forth two or more statements of a claim or defense alternately or hypothetically, either in one count … or in separate counts….” Rule 1.402(2)(b). In addition, the plaintiff may “state as many separate claims” as he or she “has regardless of consistency and whether based on legal or equitable grounds.” Id. In a claim for medical malpractice, the petition “shall contain a short and plain statement of the claim showing that the pleader is entitled to relief and a demand for judgment for the type of relief sought.” Rule 1.403(1). Additionally, relief “in the alternative or of several different types may be demanded.” Id. But “a pleading shall not state the specific amount of money damages sought but shall state whether the amount of damages meets applicable jurisdictional requirements for the amount in controversy. Id. The specific amount and elements of monetary damages sought may be obtained through discovery.” Id. “The petition shall state whether it is at law or in equity.” Rule 1.403(2). The petition “shall be captioned with the title of the case, naming the court, parties, and instrument, and shall bear the signature, personal identification number, address, telephone number, and, if available, facsimile transmission number and e-mail address of the party or attorney filing it.” Rule 1.411(1). Additionally, the “caption of the petition shall state whether the action is at law or equity.” Id. All allegations of claim “shall be made in numbered paragraphs, the contents of each of which shall be limited as far as practicable to a statement of a single set of circumstances….” Rule 1.412. “Each claim founded upon a separate transaction or occurrence … shall be stated in a separate count … whenever a separation facilitates the clear presentation of the matters set forth.” Id. It should be noted that if the plaintiff “has in the preceding five-year period unsuccessfully prosecuted three or more actions, the court may, if it deems the actions to have been frivolous, stay the proceedings until that party furnishes an undertaking secured by case or approved sureties to pay all costs resulting to opposing parties to the action including reasonable attorney fee.” Rule 1.413(2). Under the notice pleading requirements …, a petition must contain ‘a short and plain statement of the claim showing that the pleader is entitled to relief….” The plaintiff does not need to identify a specific legal theory but must simply state the prima facie elements of a claim so as to give fair notice to the defendant. The pleading of ‘ultimate facts’ is clearly not required. [internal citations omitted] Id. A petition will be dismissed “only when it appears to a certainty the pleader has failed to state a claim upon which any relief may be granted under any state of facts provable under the allegations….” Curtis v. Board of Supervisors, 270 N.W.2d 447, 448 (Iowa 1978). The Iowa Supreme Court described the notice pleading requirements as “lenient standards of pleading….” Stessman, 416 N.W.2d at 686. Fact pleading is the other (less common) system of pleading. For example, Oregon is a fact (or code) pleading state. Davis v. Tyee Industries, Inc., 668 P.2d 1186, 1193 (Or. 1983). According to the Oregon Supreme Court, “Oregon has been a code pleading state since statehood. The general rule has been that a pleading must contain factual allegations which, if proved, establish the right to the relief sought. This rule has been carried forward in the Oregon Rules of Civil Procedure” in Rule 18(A). Id. at 1191-1192. Essentially, fact pleading requires the plaintiff to allege specific facts that support his or her claim and not simply recite the generic elements of a cause of action in general terms. The Federal Rules of Civil Procedure used in the Federal court system require notice pleading, which accounts for it being the more widely used pleading system in the country. The general rule under medical malpractice law holds that expert witnesses are nearly always required. The medical issues and related facts are generally far too complex for nonmedical professionals to understand without the aid of expert medical witnesses. As a general rule of law, expert witnesses are needed to (1) establish the applicable standard of care, (2) help educate the judge and jury (or in furtherance of settlement negotiations) about what the defendant healthcare practitioner should have done or refrained from doing under the specific circumstances in the case, and (3) whether the defendant’s conduct breached the recognized standard of care for the profession or specialization. Additionally, expert witnesses are needed to help determine whether the defendant’s medical negligence caused the plaintiff’s injury. On May 5, 2017, then-Governor Terry Branstad signed Senate File 465 into law, which significantly amended IC § 147.139—Expert witness standards. The effective date of the new law is July 1, 2017, so all claims based on a cause of action that accrued on or after that date are subject to the new heightened expert witness requirements. Highlights of the amended statute include (1) expert witness must now be licensed and in good standing in the same or a substantially similar practice area as the defendant, (2) must have been in active practice or academia within the five-year period immediately preceding the incident giving rise to the claim, (3) must be board certified in the same or a substantially similar specialty as the defendant, if board certified, and (4) if the defendant is a doctor, the expert witness must also be a doctor. These amendments are intended to address situations that have occurred in actual cases within Iowa. a. The person is licensed to practice in the same filed as the defendant, is in good standing in each state of licensure, and in the five years preceding the act or omission alleged to be negligent, has not had a license in any state revoked or suspended. b. In the five years preceding the act or omission alleged to be negligent, the person actively practiced in the same field as the defendant or was a qualified instructor at an accredited university in the same field as the defendant. c. The person practice or provided university instruction in the same or substantially similar specialty as the defendant. d. The person is trained and experienced in the same discipline or school of practice as the defendant or has specialty expertise in the disease process or procedure performed in the case. e. If the defendant is board-certified in a specialty, the person is certified in the same specialty by a board recognized by the American board of medical specialties or the American osteopathic association. A person not licensed in this state but licensed in another state who testifies on the issue of the appropriate standard of care, breach of the standard of care, or proximate cause as an expert witness shall be deemed to hold a temporary license to practice in this state solely for the purpose of and while providing such testimony and shall be subject to the authority of the applicable licensing board in this state including but not limited to the provisions of section 147.55. Similar provisions are in effect in other states. Like in those states, the new provisions are likely to generate a considerable amount of litigation, especially the provisions containing “same or substantially similar” language. Trial courts must decide whether to admit expert opinion testimony about scientific principles and discoveries. Simply put, courts must guard against allowing so-called junk science into evidence. To achieve that objective, most states follow, to some extent, one of two general standards that have their origins in federal court cases, viz., the Frye and Daubert standards. Under the Frye standard, expert testimony that is based upon a new scientific principle or discovery is admissible only if the principle or discovery is “sufficiently established to have gained general acceptance in the particular field in which it belongs.” Frye v. United States, 293 F. 1013, 1014 (D.C. Cir. 1923). In comparison, the Daubert standard requires the trial court to serve as a gatekeeper regarding the admissibility of all expert testimony, not just testimony based upon a new scientific principle. The court must make a determination whether the proposed testimony is both reliable and relevant by analyzing (1) whether the reasoning or methodology upon which the testimony is based is scientifically valid and (2) whether that reasoning or methodology can properly be applied to the facts in the case. Daubert v. Merrell Dow Pharmaceuticals, Inc., 509 U.S. 579 (1993). According to the Iowa Supreme Court, “[o]pinion testimony will be allowed if it is of a nature that it will aid the jury in determining the case and is based upon some special training, experience or knowledge of the witness in respect to the matter under investigation.” Ganrud v. Smith, 206 N.W.2d 311, 314 (Iowa 1973). In addition, such testimony is admissible only if it is shown that the witness is qualified and the facts upon which the witness bases his or her opinion are sufficient to enable the witness to express an opinion that is more than mere conjecture. Hedges v. Conder, 166 N.W.2d 844, 857 (Iowa 1969). It is important to understand that it is not enough that the expert is qualified with respect to a general area of expertise; for the expert’s testimony to be admissible, the expert must also be qualified with respect to the specific question or issue upon which he or she is providing testimony. Tiemeyer v. McIntosh, 176 N.W.2d 819, 824 (Iowa 1970). The admission of opinion evidence rests largely in the sound discretion of the court and considerable leeway is allowed in this field of evidence for the reason that no matter how the opinion question is phrased or formulated, it remains an opinion which the trier of facts is at liberty to reject. Therefore only in clear cases of abuse would admission of such evidence be found prejudicial. Bengford v. Carlem Corporation, 156 N.W.2d 855, 8650866 (Iowa 1968). The Iowa Supreme Court explained that when “assessing the reliability of scientific evidence … we essentially utilize an ad hoc approach to decide if the scientific area of expertise produces results that are reliable enough to assist the trier of fact.” Ranes v. Adams Laboratories, Inc., 778 N.W.2d 677, 686 (Iowa 2010). The Court adopted an approach that looks to the Daubert factors for guidance. Id. It instructed: “When the scientific evidence is particularly novel or complex, however, we have suggested that courts consider the relevant factors identified by the United States Supreme Court in” Daubert. Id. The Iowa Supreme Court added those “factors help assess reliability of expert evidence by evaluating the scientific validity of the reasoning and methodology as applied to the facts of the case.” Id. According to the Iowa Supreme Court, the Daubert factors that Iowa courts are instructed to reference are: (1) whether the theory or technique is scientific knowledge that can and has been tested, (2) whether the theory or technique has been subjected to peer review or publication, (3) the known or potential rate of error, or (4) whether it is generally accepted within the relevant scientific community. Id. The Iowa Supreme Court has not expressly adopted either the Daubert or Frye test. Id. In fact, the Court rejected the Frye test of general scientific acceptable in State v. Hall, 297 N.W.2d 80, 85 (Iowa 1980). And while the Court references the Daubert factors, it stated: “We emphasize that the ad hoc Hall test remains our general approach to evaluating reliability….” Id. Finally, the Iowa Supreme Court stated “we have previously noted the inapplicability of Daubert to ‘general medical issues.’” Id. Contributory fault shall not bar recovery in an action by a claimant to recover damages for fault resulting in death or in injury to person or property unless the claimant bears a greater percentage of fault than the combined percentage of fault attributed to the defendants, third-party defendants and person who have been released … but any damages shall be diminished in proportion to the amount of fault attributable to the claimant. Notice that the plaintiff may recover damages so long as his or her proportionate share of negligence is not greater than the defendant or defendants and third-party defendants being sued by the plaintiff together with any party who has been released—the 51% bar rule. If the plaintiff’s percentage share of determined fault is greater than the total of all the foregoing parties (i.e., plaintiff’s contributory negligence is determined to be 51% or greater), then the plaintiff is not entitled to any recovery. We begin with a review of the history of chapter 668 to put the operative statutory language in context. At common law, a plaintiff’s contributory negligence was a complete bar to recovery. Goetzman v. Wichern, 327 N.W.2d 742, 744 (Iowa 1982, superseded by statute, Iowa Code ch. 668. In Goetzman, we replaced the common law bar with the doctrine of pure comparative negligence “under which an injured party’s recovery is diminished in proportion to that party’s contributory negligence, and recovery is not barred unless the injured party’s negligence is the sole proximate cause of the damages.” Id. The legislature responded the following year by enacting the Comparative Fault Act, Iowa Code chapter 668. 1984 Iowa Acts ch. 1293. We have noted “[b]y its terms, the purpose of the comparative fault act is to establish ‘comparative fault as the basis for liability in relation to claims for damages arising from injury to or death of a person or harm to property.’” Waterloo Sav. Bank v. Austin, 494 N.W.2d 715, 717 (Iowa 1993) (quoting 1984 Iowa Acts ch. 1293). In general, the purpose of section 668.3 is to make defendants pay in proportion to their fault. Correspondingly, any reduction in a plaintiff’s recovery represents a way of making the plaintiff “pay” for his or her proportional responsibility. In other words, section 668.3(1) prevents a plaintiff from being compensated for fault that he or she should fairly bear. Under contributory negligence (the doctrine that Iowa followed prior to implementing the current doctrine of modified comparative negligence), a plaintiff is completely barred from any recovery if his or her negligent conduct contributed as a legal cause in any degree to the injury. Contributory negligence is extremely unforgiven. If the plaintiff’s own negligence contributed to the injury in the slightest degree, i.e., even 1%, he or she cannot recover any damages. It is for this reason that nearly every state has abandoned it. Only Alabama, Maryland, North Carolina, and Virginia still permit the use of contributory negligence. To underscore the point, assume that a plaintiff is 10% at fault for contributing to his or her own injuries with the defendant 90% at fault, and the damage award is $1 million. Under comparative negligence, the plaintiff will still recover $900,000 ($1 million less 10% or $100,000 attributable to his or her allocated share of fault). That is the result for under Iowa’s current doctrine of modified comparative negligence. In contrast, under contributory negligence, the plaintiff recovers nothing. The plaintiff’s 10% allocation of fault serves as a complete bar to recovery. That is the stark difference between the two doctrines. Comparative negligence is a fault and damages allocation system. Under Iowa’s version, fault is determined and apportioned among the plaintiff and all defendants, third-party defendants, and released non-parties to the action, and how much compensation the plaintiff may recover is limited by his or her allocated relative share of fault for causing the injury. IC § 668.3(1). Fault is determined and apportioned among the plaintiff, all defendants, and released non-parties by the trier of fact, and the amount of damages the plaintiff can recover is limited by his or her relative share of fault. The amount of damages each claimant will be entitled to recover if contributory fault is disregarded. The percentage of the total fault allocated to each claimant, defendant, third-party defendant, person who has been released from liability, and injured or deceased person whose injury or death provides a basis for a claim to recover damages for loss of consortium, services, companionship, or society. For this purpose the court may determine that two or more persons are to be treated as a single party. To recap, Iowa has codified the doctrine of modified comparative negligence with a 51% bar rule in IC § 668.3, which holds that if the plaintiff’s allocated percentage of fault is 51% or greater than the all the defendants, third-party defendants, and released non-parties, he or she is completely barred from recovering any damages. For example, assume a plaintiff is determined to be 50% at fault, and the damage award is $100,000. The amount to which the plaintiff is entitled is $50,000 because the plaintiff’s allocated percentage share of fault, i.e., 50% or $50,000, is deducted from the damage award. If the plaintiff were determined to be 51% at fault, he or she would not be entitled to any recovery because Iowa imposes the 51% bar rule. When multiple defendants are involved, there are two different ways in which the degree of fault comparison can be applied. Each approach can lead to vastly different results. The individual comparison approach compares the plaintiff’s proportion of fault against each defendant individually, and the plaintiff may recover damages against only the defendants whose individual proportion of fault is greater than the plaintiff’s. For example, in a scenario where the plaintiff is deemed to be 40% at fault and two defendants are each apportioned 30% of the fault, the plaintiff is barred from any recovery. Under the individual comparison approach, the plaintiff’s share of fault for the injury is greater than either defendant individually. On the other hand, the combined comparison approach permits the plaintiff to recover as long as his or her apportioned share of negligence is equal to or less than the combined negligence of all the defendants against whom recovery is sought. In the above example, the plaintiff would be entitled to recover damages from both defendants since his or her apportioned share of negligence is less than the combined share of the two defendants. Clearly, there is a stark contrast in the results of the two approaches with plaintiffs obviously favoring the combined comparison approach. Consequently, under Iowa law, the plaintiff in the foregoing example would be entitled to recover damages since the plaintiff’s share of negligence is less than the combined negligence of the defendants’ share on combined comparison basis (40% versus 60% for the defendants). The total amount recoverable in any civil action for noneconomic damages for personal injury or death, whether in tort, contract, or otherwise, against a health care provider shall be limited to two hundred fifty thousand dollars for any occurrence resulting in injury or death of a patient regardless of the number of plaintiffs, derivative claims, theories of liability, or defendants in the civil action, unless the injury determines that there is a substantial or permanent loss or impairment of a bodily function, substantial disfigurement, or death, which warrants a finding that imposition of such a limitation would deprive the plaintiff of just compensation for the injuries sustained. However, the damage cap does not apply “to a defendant if that defendant’s actions constituted actual malice.” IC § 147.136A(3). For purposes of the new statute, the term ‘noneconomic damages’ “means damages arising from pain, suffering, inconvenience, physical impairment, mental anguish, emotional pain and suffering, loss of chance, loss of consortium, or any other nonpecuniary damages.” IC § 147.136A(1)(b). ‘Occurrence’ is defined as “the event, incident, or happening, and the acts or omissions incident thereto, which proximately caused injuries or damages for which recovery is claimed by the patient or the patient’s representative.” IC § 147.136A(1)(c). The new statutory cap only applies to causes of action that accrue on or after the effective date of the new law (July 1, 2017) and does not apply to those causes of action that accrued prior to the effective date, which remain free of any cap on noneconomic damages. As of the date of this article, there are no reported appellate decisions interpreting the new statute. It is quite likely that the statute will generate a significant amount of litigation involving the interpretation of several terms and provisions of the statute, and the constitutionality of the cap itself will likely be challenged at some point as similar damage caps enacted in other states have been challenged with varying results. Attorney fees are typically paid on a contingency basis in medical malpractice cases. That means the attorney’s entire legal fee is paid as a percentage of any settlement amount or jury award. If there is no recovery, then the attorney does not receive any payment as a legal fee. Contingent fee arrangements enable all injured parties to have the benefit of legal representation in pursuing their legal claim regardless of their financial resources. Most people simply cannot afford to hire an attorney on an hourly fee basis to pursue their claim, so they would be left with either just giving up on their claim or attempting to represent themselves, with the likelihood of recovering any damages only slightly higher than the former option. Contingent fee arrangements empower the injured to take on healthcare practitioners, institutions, and insurance companies as equals. This type of fee arrangement is permitted in every state as well as the federal court system subject to the basic ethical requirement that the fee amount is reasonable and not excessive. Most jurisdictions impose a limit on the fee percentage somewhere between 10% to 50% of the amount recovered, depending on one or more of the following factors: (1) the type of claim, (2) the stage of the case in which it is ultimately resolved, and (3) the amount recovered. It should be noted that costs and expenses are separate from an attorney’s legal fee. Some examples of costs and expenses include, but are certainly not limited to, medical records, police reports, filing fees, trial exhibits, expert witness fees, and depositions. Some attorneys will deduct these amounts from the final recovery while others will charge the client as they are incurred. Iowa law does not impose any generally applicable caps on attorney fees specific to medical malpractice cases. However, there are important limitations on fees designed to protect all clients of which plaintiffs with a medical malpractice claim should be aware. In any action for personal injury or wrongful death against any physician and surgeon, osteopathic physician and surgeon, dentist, podiatric physician, optometrist, pharmacist, chiropractor or nurse licensed under this chapter or against any hospital licensed under chapter 135B, based upon the alleged negligence of the licensee in the practice of that profession or occupation, or upon the alleged negligence of the hospital in patient care, the court shall determine the reasonableness of any contingent fee arrangement between the plaintiff and the plaintiff’s attorney. Accordingly, plaintiffs in an Iowa medical malpractice action can rest assured knowing that the court will review the contingent fee arrangement to ensure that it is reasonable under Iowa law. It is important to note that the Comment to Rule 32:1.5 states that the eight factors enumerated in the Rule are not exclusive and that each factor will not be applicable in every case. Rule 32:1.5(b) requires lawyers to communicate to clients, preferably in writing, the “scope of the representation and the basis or rate of the fee and expenses for which the client will be responsible….” This must be communicated to clients “before or within a reasonable time after commencing the representation….” Id. Contingent fee arrangements are expressly permitted by Rule 32:1.5(c), subject to the requirements described therein. A contingent fee arrangement must be in writing and signed by the client, and it must “state the method by which the fee is to be determined, including the percentage or percentage that shall accrue to the lawyer in the event of settlement, trial or appeal….” Id. It must also explain what “litigation and other expenses [are] to be deducted from the recovery, and whether such expenses are to be deducted before or after the contingent fee is calculated.” Id. The agreement must “clearly notify the client of any expenses for which the client will be liable whether or not the client is the prevailing party.” Id. Finally, at the end of the case, “the lawyer shall provide the client with a written statement stating the outcome of the matter and, if there is a recovery, showing the remittance to the client and the method of its determination.” Id. Forty-two states have some form of apologies or sympathetic gestures statute (commonly referred to as “I’m Sorry” laws) that excludes expressions of sympathy, condolences, or apologies from being used against the person communicating such sentiments in a civil lawsuit. This is typically achieved by characterizing such expressions as inadmissible evidence in a medical malpractice case. In any civil action for professional negligence, personal injury, or wrongful death or in any arbitration proceeding for professional negligence, personal injury, or wrongful death against a person regulated by one of the boards listed in section 272C.1 or in any other licensed profession recognized in this state, a hospital licensed pursuant to chapter 135B, or a health care facility licensed pursuant to chapter 135C, based upon the alleged negligence in the practice of that profession or occupation, that portion of a statement, affirmation, gesture, or conduct expressing sorrow, sympathy, commiseration, condolence, compassion, or a general sense of benevolence that was made by the person to the plaintiff, relative of the plaintiff, or decision maker for the plaintiff that relates to the discomfort, pain, suffering, injury, or death of the plaintiff as a result of an alleged breach of the applicable standard of care is inadmissible as evidence. Although expressions of apology or sympathy may not be used as an admission of liability or otherwise as evidence, experienced medical malpractice lawyers in Iowa understand that they can still be useful to potential plaintiffs. Lawyers point out that receiving such an expression of apology or sympathy may alert the potential plaintiff that an error was made by a healthcare provider. While the expression itself cannot be used against the healthcare provider in a civil action, it can serve as the trigger for the need to investigate the circumstances surrounding the plaintiff’s injury by contacting an experience medical malpractice lawyer. This website has been prepared by Medical Malpractice Help for informational purposes only and does not constitute legal advice. The information is not provided in the course of an attorney-client relationship and is not intended to substitute for legal advice from an attorney licensed in your jurisdiction. The information contained in this website is provided only as general information, which may or may not reflect the most current legal developments. This website occasionally contains links to other web pages. The inclusion of such links, however, does not constitute referrals or endorsements of the linked entities. Newsome Melton specifically disclaims any responsibility for positions taken by users in their individual cases or for any misunderstanding on the part of users of this website or any linked websites. To view the official cover sheet, click here. In fact, only Nevada, North Dakota, and Virginia do not follow either the Frye or Daubert standard. For a state-by-state comparison, see https://www.theexpertinstitute.com/daubert-v-frye-a-state-by-state-comparison/. State v. Hall, 297 N.W.2d 80 (Iowa 1980).